Critical issues facing today’s business owners by creating an affordable and reliable suite of products that talk to each other. Omne Sensors – are designed for rugged environments and hard-to-access locations to detect changes and potential risk to your business, in real time. Our portfolio provides different options to observe and monitor indoor and outdoor climate, soil and water parameters. Agnov8 offers an end-to-end solution consisting of cloud based software and supply of the appropriate rugged sensor hardware. The dashboard environment provides owners insight on their desktop, tablet or mobile device anywhere, anytime. Rugged Tablets – are now available which are hardy, durable and water resistant for the industry. These new tablets can interface between Nursery Management System software making the software transportable for the business owner. 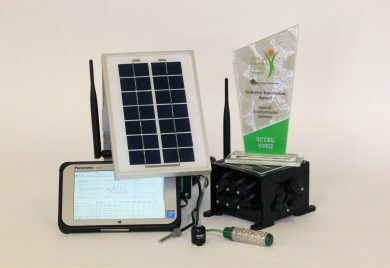 Outdoor Wi-Fi Solutions – allow nurseries much needed connectivity in the field which enables these devices to be used where ever there is Wi-Fi, internet or mobile coverage thus bringing a professional edge and efficiencies to the industry. Fully-loaded, fully-capable, and fully-standard, our smart Wi-Fi products and technologies offer unmatched and ridiculous reliability. This is a very practical solution for our industry giving business owners more useful tools and resources where ever they go. Nursery Industry Software – Nursery Management Systems (‘NMS’) is an all-in-one program with the ability to save much time and cost by streamlining production work flows and avoids making costly mistakes. NMS delivers what every wholesale nursery needs into the future. Agnov8 also provides training for its horticultural solutions, in both hardware and software, at all levels within a business. This ensures everyone within the organisation, with varying levels of computer knowledge, has a satisfying experience whilst using the products and services. After-market support is available to each of our clients through help desk, online help notes and additional training. Delivered from Australia, by people who understand the Australian wholesale nursery industry. Our strategy is to keep NMS wholly within Australia, this enables the company to provide the best service with an excellent understanding of the needs of the local market.